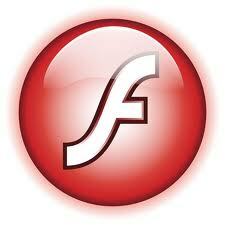 Web browser with Adobe Flash Player. (Note that many current iPhones are unable to use flash.) Your browser should also have Java enabled. Microphone headset. 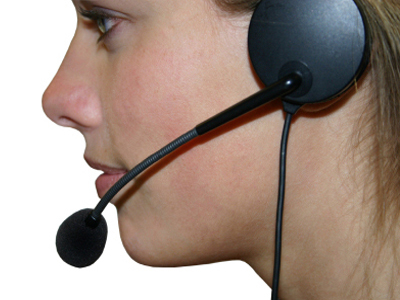 A wired headset will give the most accurate results for your assessment. Why is there no sound in the test questions? Be sure that your computer's speakers are on and turned up. If you are listening through a headset, be sure that its volume control is turned up. You may also want to check your computer's audio controls (in the control panel). Confirm that the speakers are not muted and the slider for volume playback level is near its maximum level. If you are using a microphone headset, be sure that it is plugged into the right port on your computer. If your microphone headset has an in-line volume control, be sure that you have adjusted the volume as loud as you need. For accurate results, we recommend a wired headset microphone like the picture at the right. The internal microphones in most PCs and Macs pick up too much background noise, and cell phone microphone recordings are very poor. 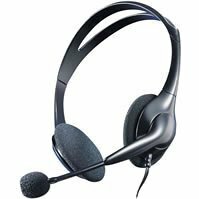 Microphone headsets are obtainable at many office supply stores and on-line. You can test your microphone with the sample question. How far away should the microphone be from my mouth? Keep the microphone near your mouth, like in the picture above. Why is my microphone is not working? After connecting your microphone to the computer, you may need to restart your computer. Check your computer's audio controls (in the control panel, choose sounds and audio devices). The microphone should be selected and the slider for its level should be at least half way to maximum. 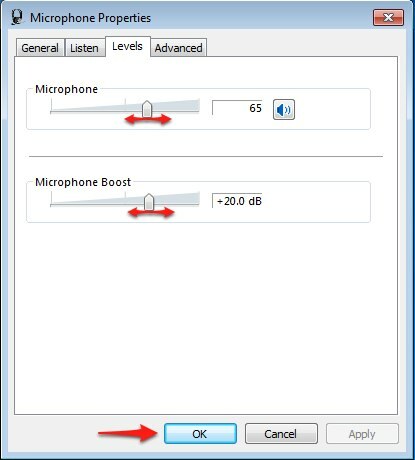 If your computer has a microphone boost feature, adjust it to about 60% of its maximum. Sample settings are shown in the picture at right for a Windows 7 computer. If your microphone has a microphone mute button on the cable, be sure that the mute is not on. Further guidance on adjusting your computer's microphone setting on Microsoft's website or helpful step-by-step instructions here. Your microphone can also be adjusted through the Adobe Flash Player control window, shown below, with instructions from Adobe here. Be sure to speak loudly enough during your responses. Why is there a lot of static or noise when I listen to my answer? This is a common difficulty with laptop soundcards. If you can hear your words, then the recording quality is satisfactory. Where should I take my E-CAP test? Before you take your assessment, try to find a quiet place where you will be uninterrupted. Close open windows if there is noisy street traffic. Please turn off your phone. How do I prepare my computer? Before beginning the test, please close all active windows on your computer, including Skype, internet chats, media players, and any programs that use audio. Try the sample question to confirm everything is working. Why does my voice sound strange when I listen my response? We rarely listen to our own voice, so most people are surprised by the sound of their recorded answers. The audio you hear on the computer is a poor representation of the natural richness of your voice. I do not see the flash permissions window when I visit the test page. You should see a window similar to the example on the right, when you start the test. 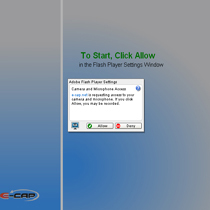 If the window fails to appear, be sure that the flash player settings on your computer are set to "always ask", click here. 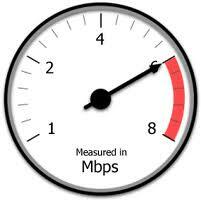 Also check your firewall settings, as indicated below. Why do I see a blank screen after clicking on the test link or my results? Add e-cap.net as a trusted site in your browser. A firewall on your computer or network may be blocking the test. E-CAP uses ports 80 and 1935, and these should be open for the test to work. When your computer is communicating properly with the server, you will see the screen on the right at the beginning of the test. What if my computer or browser crashed during the assessment? Completely clean your browser's cache and restart your browser. Please note that keyboard shortcuts often fail to empty flash files from browsers, so carefully follow the instructions for your browser at the hyperlink above. Since your previous answers will be erased, be sure to answer all questions on any retakes of the test. 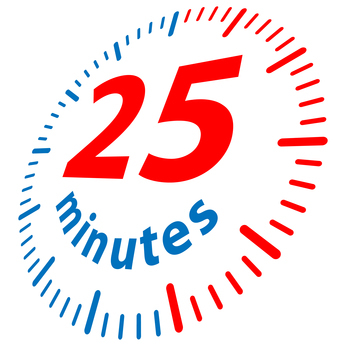 What should I do if the test freezes on the recording clock? Close the browser tab with the test and clean your browser's cache as described in the previous item. Close all other open programs. Use a hard-wired internet connection. Restart your browser and return to the E-CAP test page. Switch to a different browser. Internet Explorer, Firefox, and Chrome all handle flash differently.